At our Calgary law firm, we aim to provide our clients with efficient and professional notary and commissioning services. We are diligent in our approach and we always strive to provide a timely and cost-effective solution for each of our clients. At MM Law, our lawyers provide independent legal advice with respect to Matrimonial and Family Law matters, which includes separation agreements, dower releases, cohabitation agreements and prenuptial or postnuptial agreements. At our Calgary law firm, we want each of our clients to be satisfied with the level of service received. We keep our clients involved in the process so they are aware of the progress, every step of the way. With each correspondence, we aim to work diligently with our clients to draft legal agreements that are clear and precisely set out each party’s rights and obligations. We care about our clients and want to make sure you are taken care of with any legal matters. 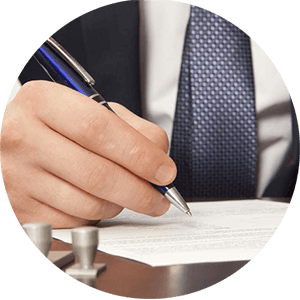 All of our legal advice and notary services are tailored to suit each individual and each particular case. We know that each case is different and that our clients’ requests will differ. This is why our approach and work is fully customized to suit your needs.